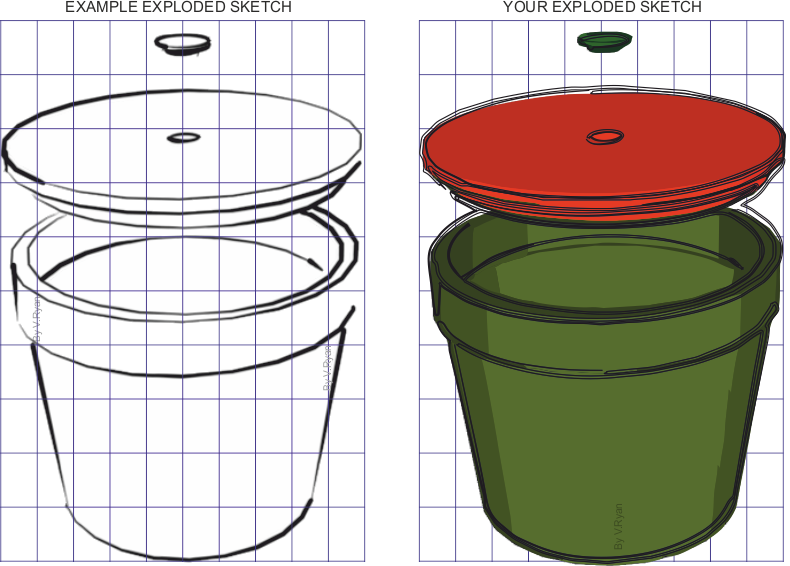 An exploded (disassembled) sketch of the Fruity Snack container and Seed Holder Lid is drawn below. 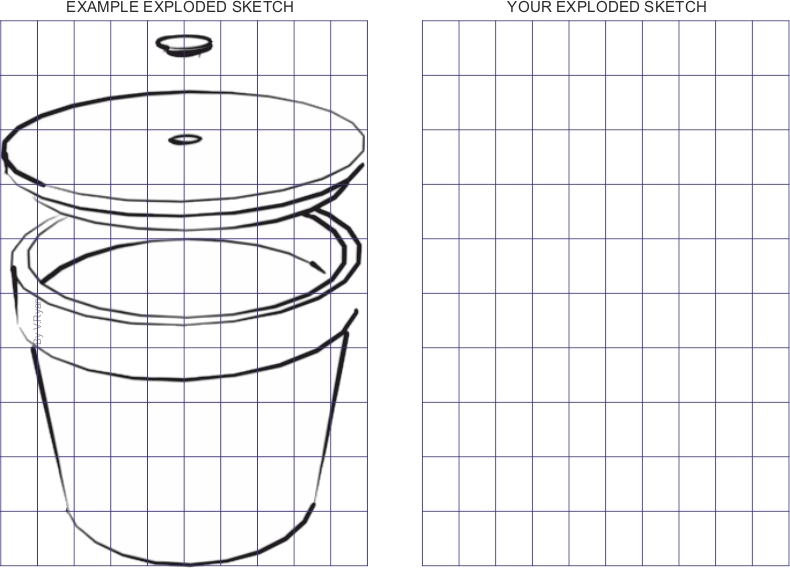 Using the grid as a guide / drawing aid, draw your copy within the right hand side grid. Using coloured pencils, add colour and shade.